Smallest Living Dog – Meet Miracle Milly, a female Chihuahua out of Dorado, Puerto Rico. Owned by Vanesa Semler, Miracle is on record as the smallest dog in the world in terms of height. She measures roughly 3.8 inches tall. 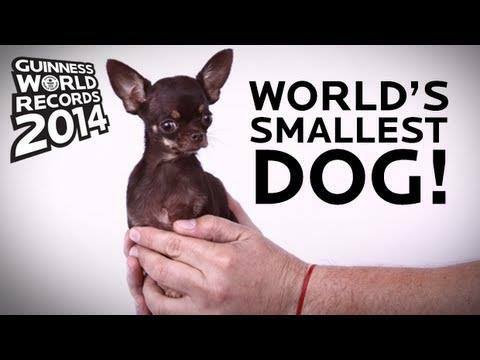 There have been so many records of pocket-sized pets in the history of the Guinness World Records but for a dog, Miracle Milly is the smallest by far. She weighed only a pound or half kilogram during birth. Highest Waterfall – While world records seem very interesting, not all of them actually are. There are some that are borderline nonsense like pulling a truck to a distance using meat hooks attached to the skin at the back or walking over burning charcoal. 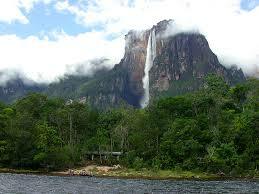 But one very interesting (and beautiful) record holder is the Angel Falls in Venezuela. 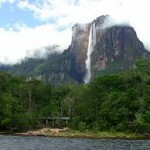 With a height of 3,212 feet or about 979 meters, the Angel Falls is the highest waterfall in the world. If there’s something better than majestic, that should describe this natural wonder of nature. It is actually named after an American aviator, Jimmie Angel. In 1933, he became the first person to fly over the waterfall and announced it to the rest of the world. Planning to go there? It’s located in the Guiana Highlands in the Venezuelan state of Bolivar. You might want to pack your gear up though because it falls deep into the jungle, which makes it very tough to reach. Longest Snake – Not everything is pleasant and beautiful in the Guinness World Records though. This time, there’s the eerie long snake (yikes!) on record as the longest ever snake to be captured. Rightfully called Medusa, the reticulated python is owned by Full Moon Productions in Kansas City, Missouri. Measuring at 7.67 meters or a whopping 25 feet and 2 inches, it became the official title holder in October of 2011. To justify this remarkable feet, reticulated pythons have long been known as the world’s longest snakes, which means it’s actually not surprising one would get the title. The latter part of 2013 became a disaster for many residents of the Visayan region in the Philippines, particularly the province of Leyte. Typhoon Haiyan (Yolanda) wrecked havoc and killed thousands. The good thing is the world was quick to respond, where many countries, organizations, companies, and even celebrities took the opportunity to help. There have been countless stories of heroism, charity, and goodwill, but there’s one that stood out and eventually got the attention of the Guinness World Records. 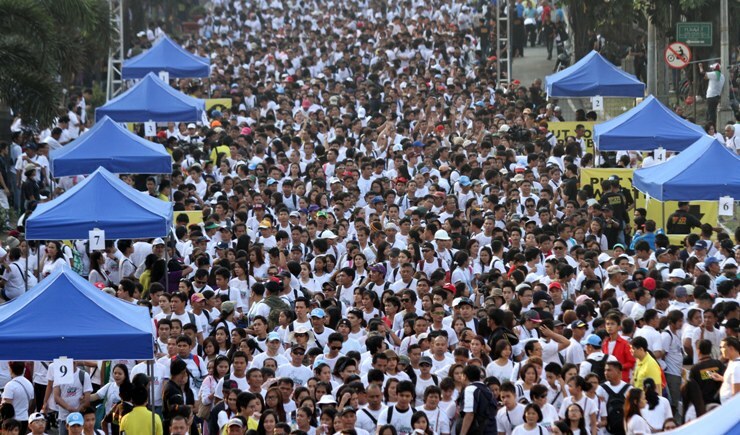 The members of the Iglesia ni Cristo (Church of Christ) in the Philippines participated in a charity walk in Manila and other major cities to raise funds for the victims of the country’s deadliest and perhaps the world’s biggest storm. Wearing white T-shirts that they bought for Php250, the participants knew the proceeds will be given to those affected by the typhoon. 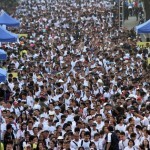 The Records adjudicator, Kirstie Bennet confirmed that at least 175,000 people joined in the charity walk, beating the previous record of 77,500 by Singapore.